These gloves afford excellent protection against high heat and they have superior abrasion resistance. 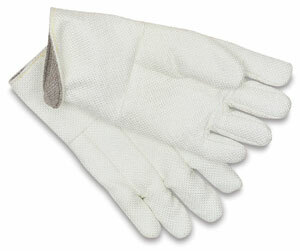 Gloves are wool lined, and extra roomy to dissipate heat. Maximum heat is 1000°F. Length is approximately 14" (36 cm).